You are a DIY-er and you are looking for an effective code reader? Autel AutoLink AL329 is one of the code readers that can help you to easily diagnose your vehicle. 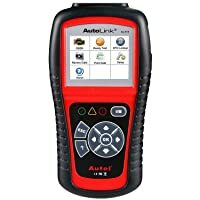 Autel AutoLink AL329 code reader will help you to retrieve the stored emission diagnostic trouble codes.If you are a DIY you can resolve the underlying issues or take your vehicle to a mechanic. This is an upgraded version of AL319 meaning that it is more reliable and can do more diagnostic functions. Yet the price remains really attractive. You will be able to reset monitors, clear codes, and turn off malfunction lights with this code reader. Stay put to find out more about Autel AutoLink AL329 as this review highlights the key features, strength, and weaknesses. 3 Who Is Autel Autolink Al329 Built For? View freeze frame and Reads live PCM data stream. 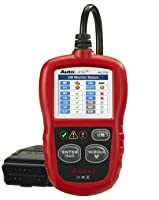 Bottom Line Autel AutoLink AL329 is primarily built for average car owners who are interested in performing basic diagnosis. Autel Al319 suits beginners who want to turn off the CEL and do simple diagnosis. Autel Al519 is perfect for DIYers and average car owners. Whenever there is an emission problem in your vehicle, the Engine Service Light usually pops up. But there is one major problem with this service light. It does not provide much information other than pointing out that there are emission problems in your car. Lucky for you, Autel AutoLink AL329 has a one-click emission readiness button. You will be able to check all the emission monitors and clear all the readiness flags’. The emission monitors in your car are designed to check the quality of gases being released to the air. Whenever an anomaly is detected by these monitors a diagnostic trouble code is generated and stored in the onboard computer. Autel AutoLink AL329 code reader will help you to retrieve the stored emission diagnostic trouble codes. You will be able to tell if you are dealing with a misfiring engine, faulty spark plug, defective catalytic sensors, or even a loose gas cap. If you are a DIY you can resolve the underlying issues or take your vehicle to a mechanic. Resolving emission issues is important as it will help you to pass the annual emission tests. Autel AutoLink AL329 has no return to home button’ when updating and you have to unplug the code reader and plug it in again to access the main menu. You may find that after servicing your vehicle the engine malfunction lights may come on. There are two options that can help you clear the engine malfunction lights. You can drive your vehicle to an auto shop and have a mechanic clear the MIL displayed on the dashboard. But this comes with a major disadvantage. You will end up wasting time and money on a simple procedure that you can easily do it. Worse still you may have to make the trips quite often since even a loose gas cap can turn on MIL. The second option is to buy Autel AutoLink AL329 and use it to clear MIL. Having this code reader will help you make your life a lot easier. You will not only be able to clear the MIL but also know the reason why the light is on. Autel AutoLink AL329 fails to establish to make a connection with some models such as 2001 Suzuki Swift. You will find that the code reader displays waiting for response message’. There are major advantages of using a code reader with auto VIN retrieval. You will establish that the scanner can automatically identify the vehicle and perform a quick scan. This will allow you to easily read and retrieve diagnostic trouble codes. Secondly, auto VIN retrieval plays an important role when choosing the right firmware when performing an update. You will be able to quickly match the right software that will enhance the diagnostic capabilities and resolve compatibility issues. Besides, being able to retrieve VIN will help you to easily track the previous records of a vehicle. Retrieving previous records of a vehicle is important particularly if you want to buy a used car. The records will show the performance of the vehicle and other important aspects such as millage. As a result, you will be able to make a more informed choice when purchasing a used car. The best part is that Autel AutoLink AL329 can reliably retrieve VIN allowing you to track the records of a vehicle. One major downside is lack of accuracy when retrieving VINs. It sometimes display inaccurate codes after performing a scan. 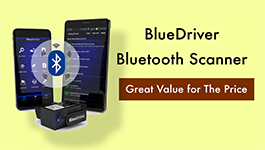 You will notice that it is compatible with OBDII/EOBD vehicles manufactured from 1996 and newer models. These makes and models can either be domestic, European, or Asian models. It is also compatible with windows software allowing you to connect to a PC when making an update. Who Is Autel Autolink Al329 Built For? Autel AutoLink AL329 is primarily built for average car owners who are interested in performing basic diagnosis. You will be able to perform simple functions such as clearing the check engine light or establishing the emission status of your vehicle. Autel AutoLink AL329 is an effective code reader that can comfortably help you to resolve most basic issues. You will be able to perform basic diagnosis without necessarily going to a mechanic shop. You also can turn off Engine Malfunction Lights and check I/M readiness status. This compatible-price code reader is a highly recommended scanner for average car owners. Autel Diaglink (DIY Version of MD802) is one of the best car diagnostic tools that can perform diagnosis on ABS, FDIM, ACM, and IPC. What else it can do? Check out now! In this article, we’ll discuss in details the difference between OBD1 and OBD2 vehicles and the best OBD Scanner for them.